NickTel is a full service communications company specializing in Business Telephone Systems, Voice Mail, Enterprise Messaging, custom cabling including all facets of data, voice, overhead paging and music/message on hold. Whether you are a large company that would like to network your multiple site/dept. locations or have a home office that you'd like to network to share high speed internet, printers and files, we can help. NickTel is proud to be a factory authorized dealer of Allworx VOiP, Comdial and a wide range of telephone products and telecom solutions. We have systems to handle any budget or office size (including some low cost systems which utilize professionally refurbished equipment). Whatever you need, we can accomodate you in a fast, efficient and professional manner. We proudly represent some of the finest manufacturers of telecommunications systems and related equipment. Telephone systems that work for your business! How important is the telephone to your business? If you're like most business owners, large or small, the answer is simple. The telephone is still the most important method of communicating in the business world. Most agree that they could live without email or the internet for an hour but could not live without their phone. At NickTel, we understand that so we're dedicated to making sure that your phone system stays up and running. We pride ourselves on our ability to provide a high level of service to our customers 24-hours-a-day, 7 days a week. - Flexible billing plans that could cut your phone bills by 50 - 70% or more. - The ability to add direct dial private lines, toll free lines or foreign exchanges. Click above for more information, pricing and plan details. 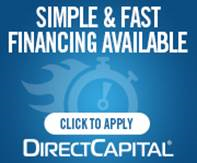 We have partnered with Direct Capital, a direct lender who delivers simple, fast and cost effective financing options for your business. Just click below to apply! 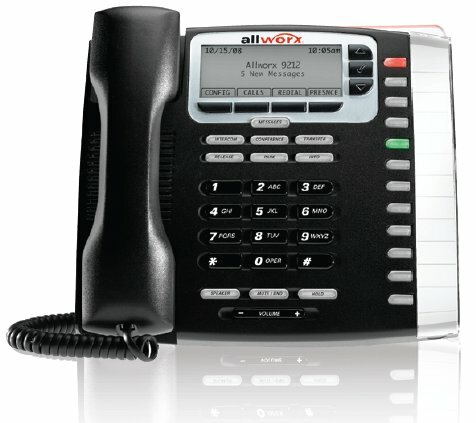 Allworx VoIP phone systems allow you to use your existing high speed internet connection to make telephone calls without incurring any additional internet or phone call surcharges. Call us to find out how much you could save with VoIP.